Why would you want to start a juniors cycling program? Great question! If you ask others (and we did) who have successfully started juniors programs, you’ll get a variety of answers, and everyone agrees on one overarching goal: to get kids on bikes — while helping kids build character, develop teamwork skills, and learn how to compete, win, and lose with respect. Enlist help! Pull together a group committed to the success of a juniors cycling program, people who can rely on each other to share the work. Here are some of the job descriptions: Mentoring, Nurturing, Coaching, Driving, Fund-Raising. Begin with a mission statement. Clearly list your goals — for example, why cycling; who you will serve and what your program can offer them; and what you and your program can contribute to sport of cycling. Define your program scope. Set guidelines for what your program looks like, such as the age range of kids you will include. Will you be offering different options for members — a skills training option, a racing option, a progression through different levels of competencies? What types of rides will you offer and what will your training and practice sessions include? What types of races will you be targeting? Your physical setting: Do you have a place to ride mountain bikes, for example, or to set up a cyclo-cross course? Is your city/region bicycle friendly? Your coaching expertise: Are you or others involved with USA Cycling coaches program? USA Cycling’s education clinics, seminars, and webinars are designed for education coaches at carious levels of certification, training you for specialty certifications, or simply providing and added level of knowledge to enhance your coaching careers. USA Cycling offers levels of certification, including an online exam; clinic-based instruction and self-paced tests; and advanced clinics for more experienced coaches. Your access to races: What races are available to you locally? How much overnight travel for regional events is reasonable? Are there USA Cycling National Championship events you want to target? Consult with your USA Cycling local association (LA). The USA Cycling website provides all the information you need, including the forms, time frames, fees, and items to consider. How should we structure the administration of the program? Consider whether you will be part of an adult cycling club in your area. Being part of an adult cycling club can help you to get started and to recruit juniors. However, our panel strongly suggested that the juniors team have its own identity. For example, the Lionhearts Cycling Team is a juniors-specific racing team within the Cincinnati Queen City Wheels adult club. Alternatively, some clubs such as BYRDS Cycling of Boise started as part of the area adult club but separated as the adults became busier with their own racing programs. Investigate for-profit and non-profit status. A non-profit status can open doors for funding and grants that otherwise are not possible. For-profit clubs may have more consistent funding, full-time staff, and different opportunities for training across the disciplines and throughout the year. Choose the organization that works for you now; you can always evolve. Determine who will manage the finances. How will you set up bank accounts to receive and distribute funds? Although some larger clubs have a full board, keep in mind that one person may need to hold more than one office! Investigate and decide on the types of insurance you need. Consider the liability issues of traveling, participating in races, and the inherent risks of cycling for kids. Plan good communication for events and travel, and include release waivers. Insurance is a must! USA Cycling member clubs have the benefit of purchasing supplemental liability insurance. Your local association can assist you in some of these choices. What kind of team approach should we develop? Develop a code of conduct (for both kids and parents) based on expectations for behavior, participation, timeliness, performance in school, and other goals of your program. Take advantage of the skills and talents of your coaches/volunteers/parents to encourage sportsmanship, respect, teamwork, and accountability. How do we recruit kids when just starting out? Word of mouth in cycling communities can be the best way to recruit kids to your program. Some clubs advertise on a limited basis, and social media (Facebook, Twitter, etc.) often helps recruiting take off. Never overlook the peer factor. Ask your juniors team members to bring a friend and watch your team grow! How do we become a USA Cycling club? Visit our Clubs page to find information on registering your club or team with us and benefits such as discounts on insurance and lower race entry fees, among others. Some sponsors prefer USA Cycling member clubs. Talk to your LA for more reasons why being affiliated with USA Cycling is a good option for your program. 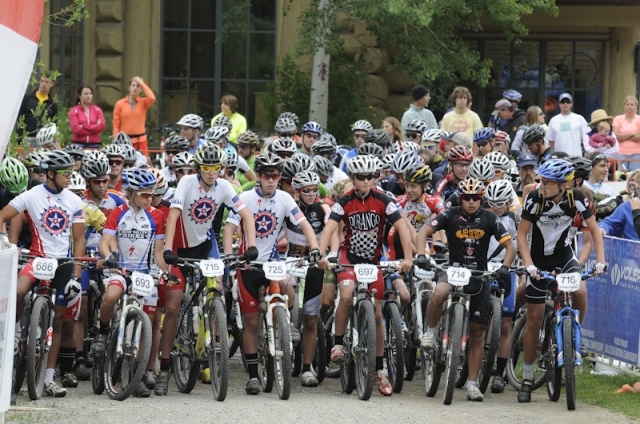 Should juniors have USA Cycling racing licenses? Juniors need a USA Cycling racing license before the first race if they are 9 years old or older any time during the calendar year. 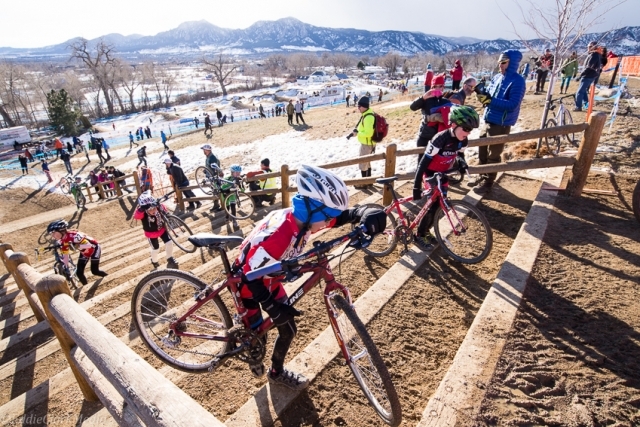 One-day licenses are also available to riders new to the sport, although some juniors will prefer an annual license if they plan to race several events a year or compete at a national championships. The purchase price of a one-day license can be applied to the cost of an annual license. 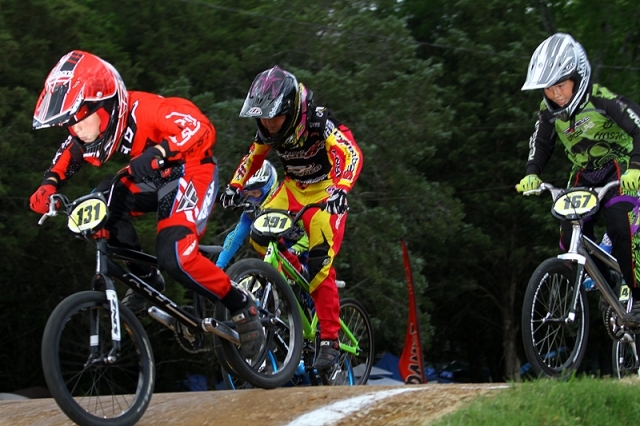 Licensing helps place juniors in the right racing categories, which then prepares juniors to ride at a national championship. What kind of equipment is required/desired? Program leaders and coaches should equip themselves with several kits. Program kits should include a first-aid kit; a bike tool kit; a timing kit with a stopwatch, whistle, etc. ; a course kit with chalk or tape to mark lines, cones for obstacles, etc. ; and a “kid kit”: water bottles, and emergency food and hydration supplies. Helmets are mandatory. Also, kids in your program should have bikes suitable to the disciplines you offer, though this is not always required. You can negotiate special rental rates and consider bike swaps as younger kids grow and need bigger bikes. Clothing has special importance. Cycling shorts help keep young riders more comfortable and wanting to come back to the sport week after week. Although cycling jerseys aren’t essential because most kids can wear t-shirts or sweat shirts, team-specific jerseys are a great way to create team identity! Think tennis shoes to start. Clipless pedaling can be advanced for kids. Tennis shoes work great if you teach kids to tuck in those laces! What kind of a training plan should we establish? It depends on the ages and skill levels of the participants, and the resources you have to train your juniors members! Be sure to address rider apprehensions. New riders often fear touching other riders. Help your juniors riders gain confidence by practicing slow-speed touching, as well providing clear instruction for drafting, pace line movement, position, and etiquette. What kind of calendar of activities should we expect? Your racing activities will depend largely on the disciplines you offer. Road racing, mountain bike racing, and cyclo-cross racing all have specific seasons. You may want to consider the Road Development Race Series and the American Mountain Bike Challenge. Your training activities will be geared around these same disciplines. Most juniors clubs require that riders attend training meetings/practices at least once weekly. Other clubs require their juniors, especially those training for specific races, to ride more regularly. Your calendar will always include travel. Races and other events are held regionally, and your racing riders will be required to travel, sometimes overnight. Other events, such as national championships, could include significant travel time. Should we have a membership fee specifically for the juniors club? Most clubs do have membership fees. Fees can include team items like jerseys, cycling shorts, water bottles, and even helmets and sunglasses. Some clubs operate at break-even levels through fees, fundraising, and combinations of both. Some clubs have different levels of fees. 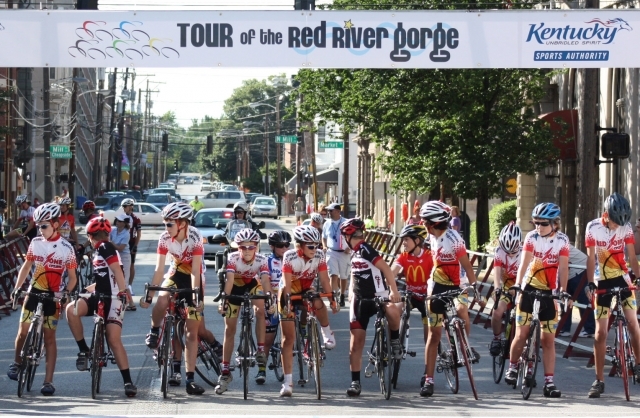 Juniors programs that offer both club riding and racing teams often charge different fees for the different levels. There are usually additional fees for regional and national travel events. Racers and their families are usually responsible for race fees and travel expenses, although some clubs try to reimburse for big races such as nationals when budget allows. Some clubs are for-profit organizations. When clubs are for-profit organizations, juniors members usually pay a coaching fee and/or tuition to be participants in the programs, and are generally expected to pay their own race fees. Yes. Many clubs invite individuals and organizations to sponsor the teams. Many clubs approach sponsors with messages of youth development and lifetime health and fitness. No. To some clubs, sponsors come and go, and these programs want to keep their own identities, so they decide against sponsorships that may not have longevity. What are some fund-raising options? Most juniors clubs and teams, especially non-profits, need to raise funds. Fund-raising activities can include tee shirt sales with sponsorships printed on the backs at races. At races, many clubs sell everything from waffles to chili to baked potatoes and pre-made cookie dough! Some clubs collaborate with local sponsors such as restaurants for events where the club sells tickets and works for the restaurant to prepare and serve the meals. Some clubs host rides and racing events as fund-raisers. Fundraising can be for general funds, or for a specific purpose such as getting racers to national championships or even to international camps and clinics in Europe. How do we help kids handle stress, frustration, pressure…and losing? Fun first; results later. Our panel of club and team leaders agrees that competitive cycling is hard physically and mentally, and takes a great commitment from race team members and their families. Although the goal of some racing teams is to develop athletes, for most of the riders the significance of winning is fleeting. That’s why the life lessons, relationships, and memories are the focus of many successful juniors programs. Cycling is an “individual” team sport. Unlike other team sports, the effort and the results of the individual cyclist are immediately visible and measured, even when riding with teammates in a team strategy. Parents can add to the pressure. Coaches need to earn the trust of the riders and their parents, and while encouragement from families is welcome, coaching is not. 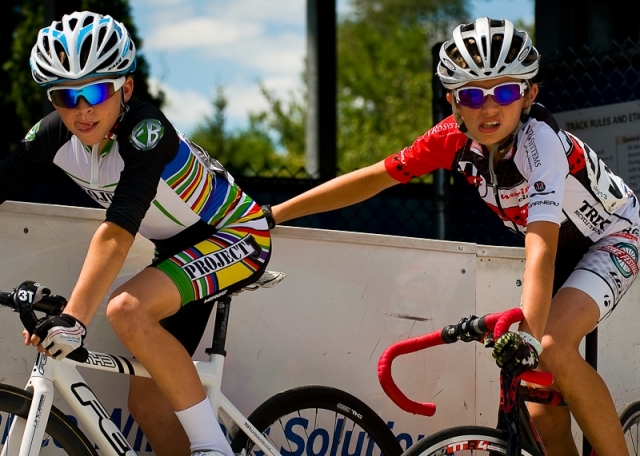 Ask families for their support but make sure parents are aware the coaches know what’s best in terms of training, skill-building, nutrition, and other aspects of the juniors’ riding and racing programs. Provide other team activities. Social activities help team members bond and provide the “fun” to help offset the pressure of competition. Team dinners and other sporting activities (such as bowling, swimming) are good choices, as well as dedicated team-building events. Should we have an awards program? Decide what the value and/or benefits of your awards programs are. When awards are designed so that each junior has a chance to win an award by demonstrating appropriate effort, an awards program can highlight both the club’s and the individuals’ accomplishments during the season. Awards can include many categories. In addition to recognizing riders for performance, teamwork, leadership, or attendance, awards programs can include other criteria such as “most improved” or “best attitude”. How can we encourage other kids to join? Keep recruiting. Most of your club participants come through referrals and word of mouth. Look to the adult cycling community and other bike resources such as shops and race directors. Introduce yourself to the USA Cycling officials! Spread the news. Local and neighborhood newspapers are great sources of good news. Make sure they know about your club and what you are doing. Can you say social media? Consider the power of your own networks…not just those of the club members! Post updates on your own Facebook and Twitter accounts as well as developing a positive presence for the team. How do we keep kids coming back? Understand why juniors participate. Cycling is a great opportunity for kids who aren’t interested in traditional sports. Cycling is also an inclusive sport: all ages, skills, and abilities of juniors make up the usual club or team. Both girls and boys participate. Many clubs offer a racing program, as well as a club riding program, which provides the teamwork, fun, and accomplishment of a more competitive program. Understand why juniors quit. Schedule conflicts, school commitments, and other can take time away from training and participation. Peer pressure — when the members’ friends are not members or even cyclists — can also convince juniors members to leave the club. The frustration, stress, and pressure of competition can also have an effect on some members. Finally, not all kids are cut out for the discipline and effort of a cycling program. Provide the elements for a successful team. Some essential elements include discipline, recognition, fun, teamwork, bonding, fun, sportsmanship, respect, fun, and…well, you get the idea. Questions? Visit our Clubs FAQ page or contact our membership department directly at 719-434-4200 or membership@usacycling.org.